Irish air traffic controllers, working with their counterparts in the UK, have implemented an advanced system which significantly reduces delays for aircraft and passengers travelling into London Heathrow, Europe’s busiest hub airport. The significant enhancement to the existing ‘XMAN’ (Cross-Border Arrival Management) initiative will reduce the length of time that aircraft hold at Heathrow, delivering significant fuel and CO2 emission savings to airlines. 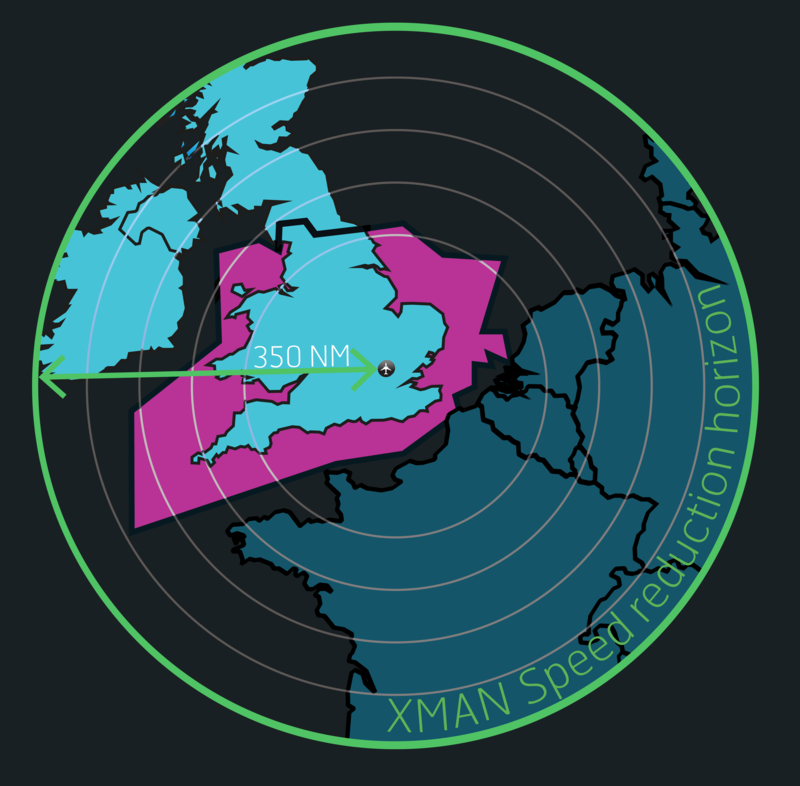 NATS, the UK’s leading air traffic control provider, and the Irish Aviation Authority (IAA), have been working together in recent years to develop and deliver the XMAN initiative alongside ANSPs in France and the Netherlands. New air traffic management system functionality is now delivering information on Heathrow delays directly to radar screens in the IAA’s Shannon en-route control centre. IAA air traffic controllers can then easily identify when delays are forecast and pro-actively coordinate the inbound traffic to Heathrow, thereby reducing or avoiding delays. Delays are minimised by reducing aircraft speed in the cruise phase, therefore reducing the time aircraft spend in fuel-intensive holding stacks at Heathrow.This saves fuel, reduces CO2 emission and delivers a better arrival experience for travelling passengers. Since its initial introduction on a trial basis in 2014, over 4,700 tonnes of fuel savings have been enabled per annum, which delivers approximately £2.5 million savings for airlines per year. These savings are expected to rise as air traffic levels increase in the coming years. This new implementation represents a full automation of information sharing between NATS and IAA to deliver the XMAN initiative. Welcoming the full implementation of XMAN, Peter Kearney, Director of Operations and Strategy at IAA said: “The IAA is extremely pleased to fully implement XMAN as part of our en-route service. We recognise the important fuel, CO2 and cost savings that this will deliver for our customers as they transit from Irish airspace towards arrival at Heathrow. We have also been very conscious of the important benefit for passengers through reduced delays at Heathrow associated with our shared efforts through XMAN. Our team at Shannon has worked hard to ensure that XMAN is implemented effectively and allows our air traffic controllers to continue to do their job in efficiently managing air traffic in the customers interest”.